The industry standard raytrace renderer for generating images of outstanding quality and unsurpassed realism, mental ray achieves scaleable performance on both multi-processor machines and across a network of CPU’s, without any sacrifices to render quality. 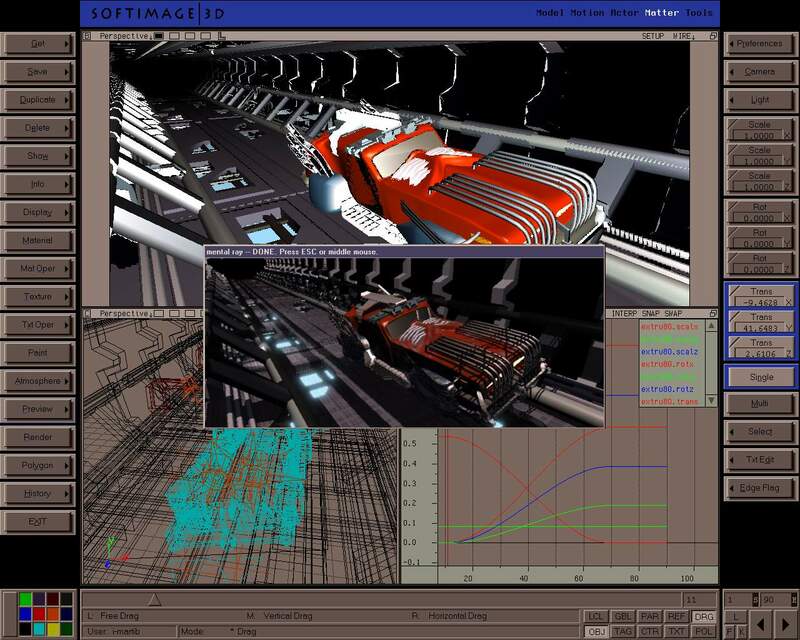 mental ray v.3.1 licenses are available from Softimage for users seeking additional power for their SOFTIMAGE|XSI v.3.0 systems or looking to render .mi files from external 3-D applications such as Alias|Wavefront’s Maya*, Discreet’s 3ds max*, or Side Effects’s Houdini. 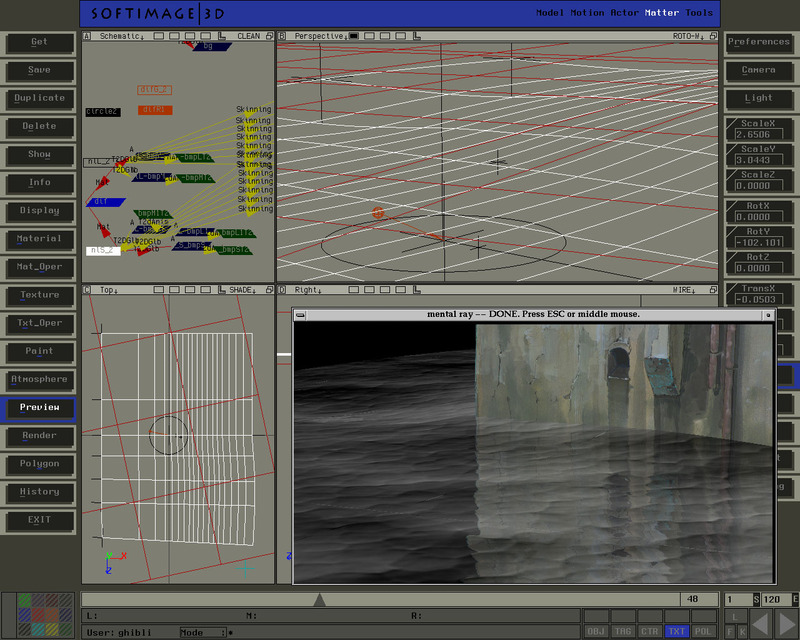 SOFTIMAGE|3D Matter module: mental ray — DONE. Press Esc or middle mouse.